A brighter future is in your hands. 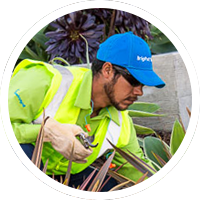 We’re currently seeking a Landscape Laborer. Nursery Laborer conducts nursery operations as instructed by the Nursery Foreman. Laborer is familiar with and abides by all branch safety policies and programs and emphasizes safety in all activities. Understands horticultural process and practices, ensures plant quality and appearance meet standards. Satisfactorily completes assigned tasks within budgeted timeframe.